My Grandmother was the mother of Boys. Five Boys! There was one long-suffering girl, too. And, like most grandmothers who learned to cook as mothers, she was a great cook. She liked to “doctor” things up. Make little changes. Make it hers. Today I made a simple box cake to welcome Matt home from a week-long conference. It is a chocolate cake that I “doctored-up” to make it mine. One easy change to make in a chocolate box mix cake or brownie is to use Coffee instead of the called for water! 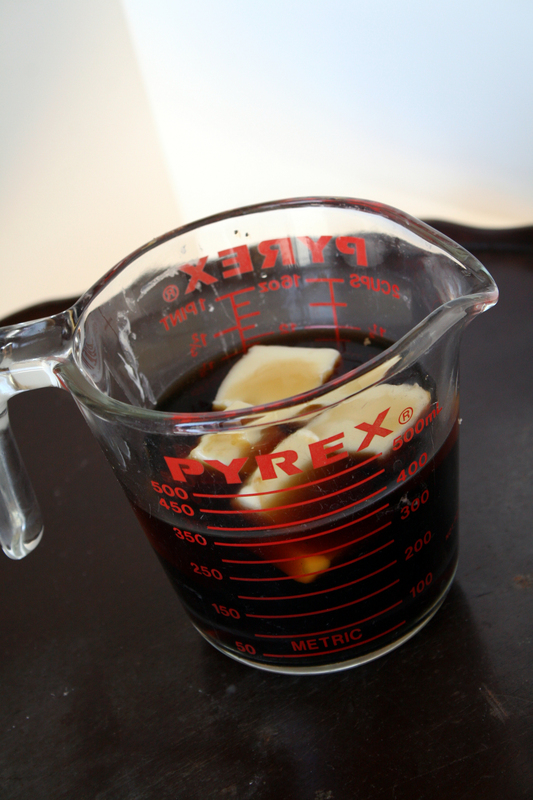 I also substitute butter for half of the oil. 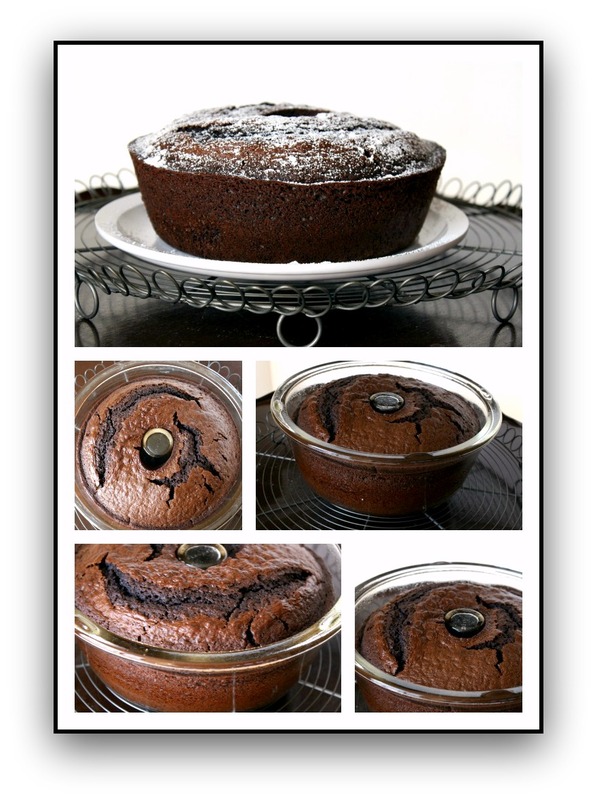 This cake was made in my vintage Glassbake Tube Cake Pan. Sprinkle of powdered sugar on the top and ~voila~ a simple lovely yummy cake. It is the Year of Threes! 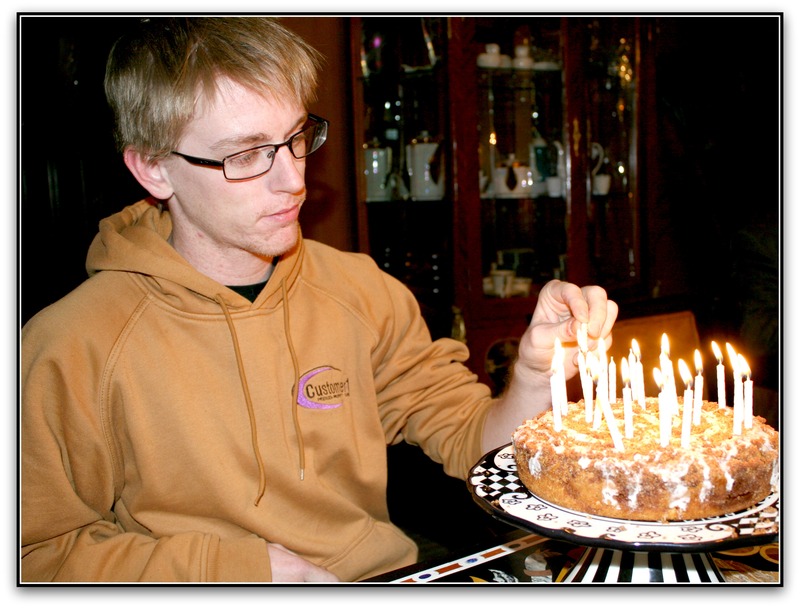 Matt’s cake this year was one of his favorites…a simple Krusteaz Cinnamon Crumb Cake. 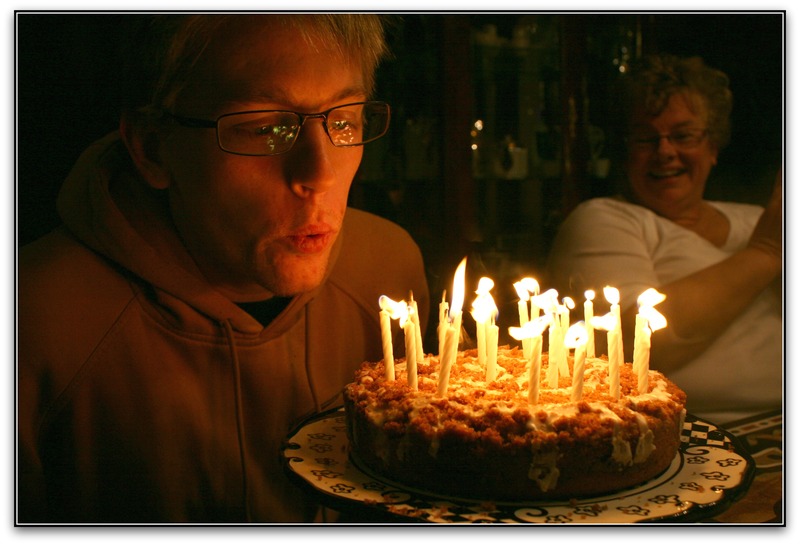 When you add a little glaze and a package of candles, it is very fancy….and GOOD! I hope all your wishes come true this year, MattMan!